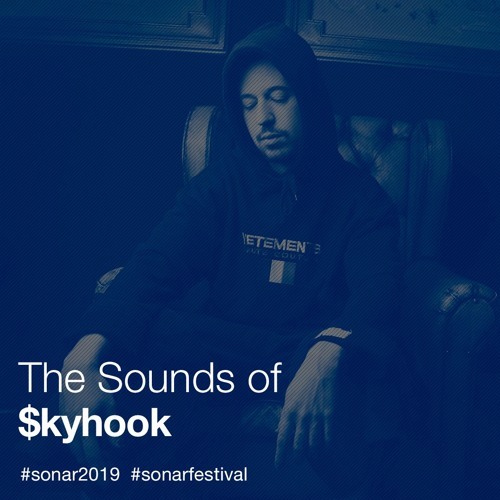 $kyhook plays Sónar by Night on Saturday 20th July Info and tix here: https://sonar.es/es/2019/artistas/kyhook Tracklist: PNL - Au Dd / Yung Sherman, Evian Christ I.R.D.W.Y. hidden jayeem - without you Sticky M.A. & $kyhook - Aleluya 2 Chainz - Whip Feat. Travis Scott Night Lovell - Bad kid NAAFI - Agua y puerta Wwwings - Neverland Tommy Genesis & Charlie Heat - Tommy Puri - Para Mc Buseta - Novinha feat Kaydy Cain A.Chal - Type Aleesha, $kyhook & InnerCut - Peligrosa Vince Staples - Fun! Dj Florentino - Deja de llamarme feat Ms.Nina Bad Gyal - Realize ($kyhook & Fake Guido Remix) Lava Dome - Air Lock Morad , G.Nuviala - Un cuento Hyphen - ?????? (unreleased) Kid Antoine - Orion Denzel Curry & Charlie Heat - Sumo Lil Internet - Banshee (Jeso Tharmorieta Remix) Israel B & Lowlight - Algo Que No Sepa Asap Rocky - Buck Shots feat Playboi Carti Fuego - Super high Aleesha & D.Clax - All in CELES7E - keys of the kingdom Yung Lean - How U Like Me Now Know V.A.- Citizens Young Thug - Best friend / Yung God - U want me $kyhook - Shawty (feat. Hermei) Playboi Carti - Middle of the summer Schoolboy Q -Chopstiks feat Travis Scott Lil Uzi - Run it up Pouya $uicideboy$ -Running thru the 6 with my woadies Sophie & Flume - Is it cold in the water?